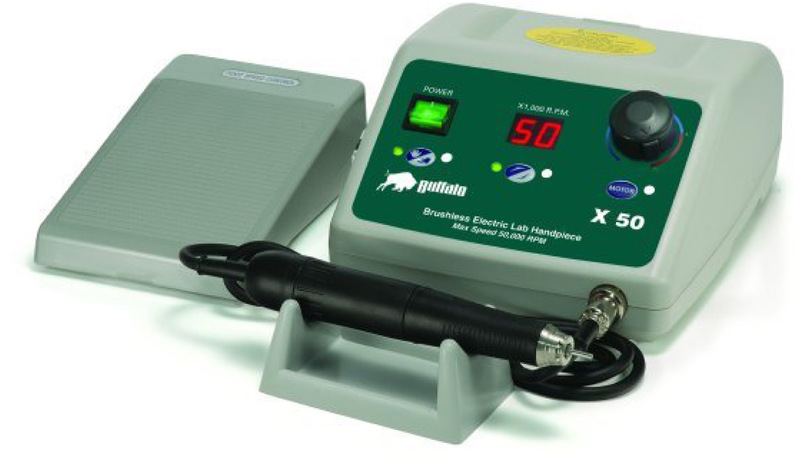 X50 Brushless Electric Lab Handpiece System - Buffalo Dental Manufacturing Co. Inc. Premium 50,000 RPM High Torque System! Brushless high-torque motor and control system provide brute-strength 7.8 N. cm. torque and precise control from 1,000 to 50,000 rpm with no carbon brush maintenance. New brushless motor features ultra-quiet and extremely smooth operation. Improved bearings and balance provide highly-concentric, vibration-free operation in a sealed, maintenance-free design. Convenient twist lock/unlock chuck provides safe and secure holding of HP-sized instruments. New intelligent microprocessor control provides fully variable speed via console or foot control. 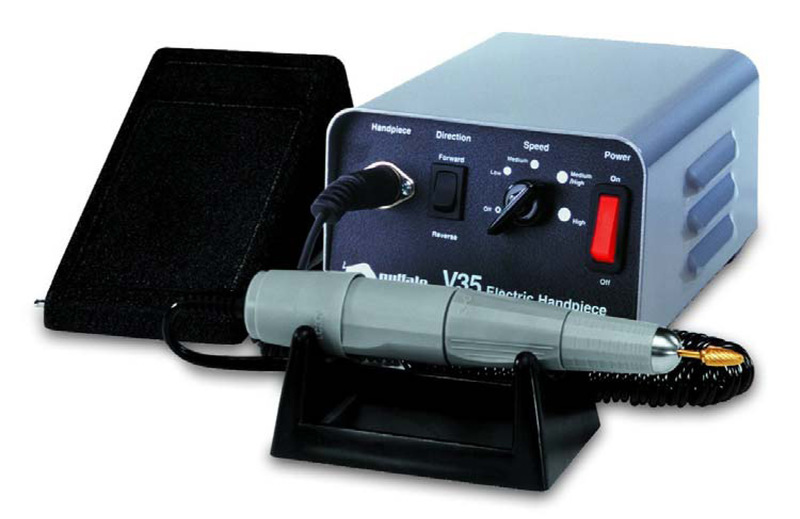 Console provides precise speed control, digital rpm display, and controls for hand/foot and forward/reverse operation. New smart cruise control circuitry automatically senses when the Foot Control speed is held constant and auto-activates precise rpm control with an audible two beep tone. Feature immediately deactivates with next touch of Foot Control and ready for resetting as desired. Components and system designed to provide safe, reliable and trouble-free operation. High impact housing is tough and easy to clean. One year warranty. 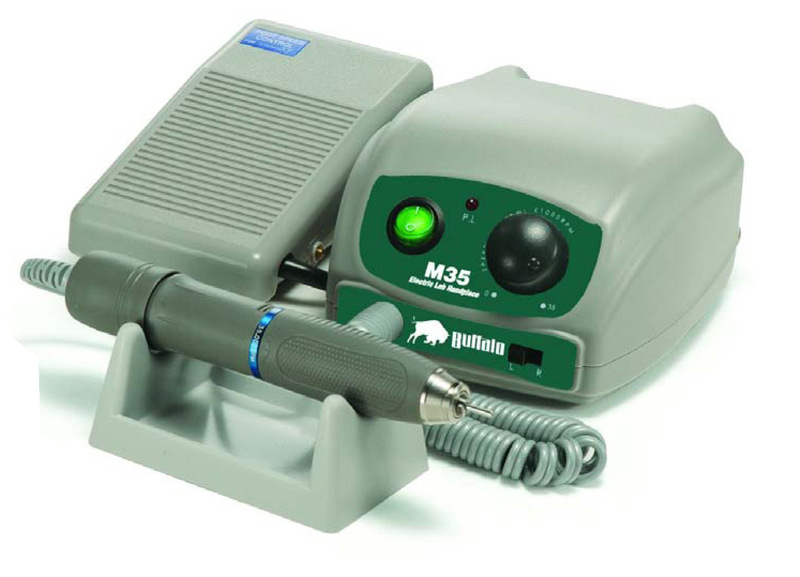 Intelligent safety circuitry is designed to protect the computer controls and the handpiece. The safety-lock on the console speed control dial helps prevent unintentional higher speed operation.